To import a company and its employees using a Revenue P2C file, select 'Import > Import from Revenue P2C File' at the bottom of the 'Open Employer' screen. At the prompt, browse to the location where the P2C file has been saved to. Select the P2C file and click Open. BrightPay will now commence setting up the employer data file from the information within the P2C. On the Welcome to BrightPay screen, click Next to continue. How would you like to use Bright Pay? The Employer Registered Number will be completed from the detail within the P2C file - if this is incorrect then you may have selected the incorrect P2C file to work from. This field is mandatory and must be in the format XXXXXXXA (where X is a number and A is a letter). Some Employer Registration Numbers can have an additional letter at the end. 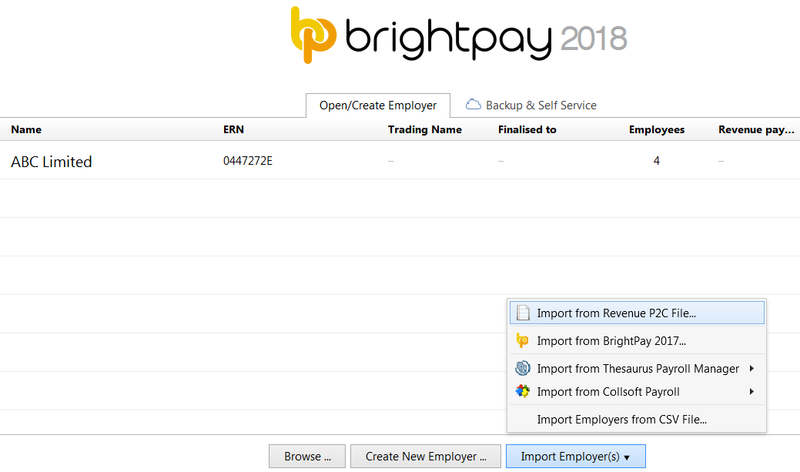 The Employer Name will be completed from the P2C file, you may amend at this stage if you wish the name to display differently within BrightPay and all payslips etc. hereafter. Employees can be organised into departments, which can subsequently be used in payroll processing and analysis. Enter each Department Name you require in the fields provided. Additional departments can be added by clicking “Add Another” or can be added at a later date if required. To protect the payroll information, a password can be set, which will then be required to open the employer data file in future. Enter and confirm a Password of your choice. Click Save & Finish. You will now be asked where you would like to save your employer data file. Select a location of your choice and click Save. Your employer and employee details have now been set up. Please note: due to basic employee information contained within a P2C, it is recommended that any employee record set up in this manner is then reviewed within the Employees utility following the import. 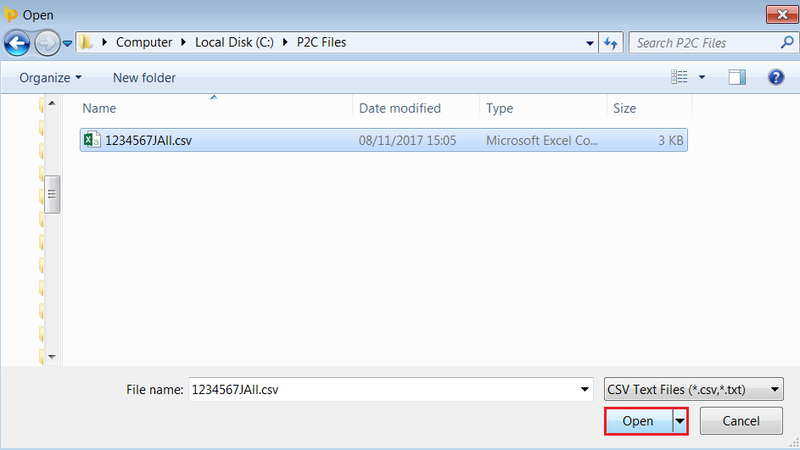 This will allow the user to manually enter additional employee information not contained in the P2C file e.g. marital status, contact information, rates of pay etc. Likewise, additional employer information (e.g. pension schemes, employer bank accounts etc) can be manually entered within the Employer utility.